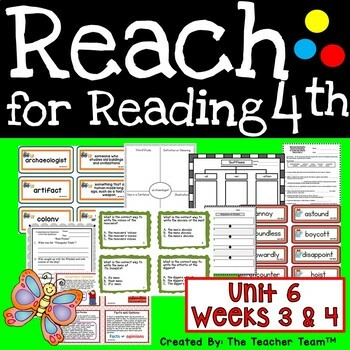 This Reach for Reading Fourth Grade Unit 6 Part 2 (weeks 3 & 4) supplemental activities (by National Geographic) resource includes comprehension questions, vocabulary and spelling activities, task cards for early finishers, grammar and word work activities and more! 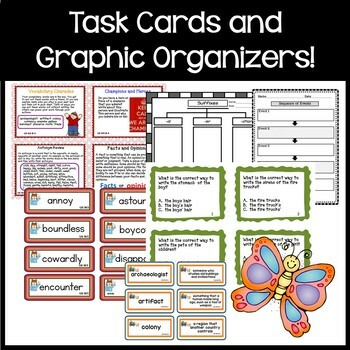 Great for ELA Centers, Daily 5 Rotations, Literacy Stations. 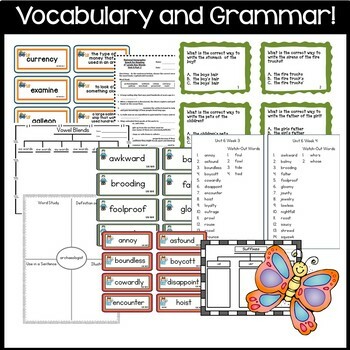 Great for Sub Plans too! 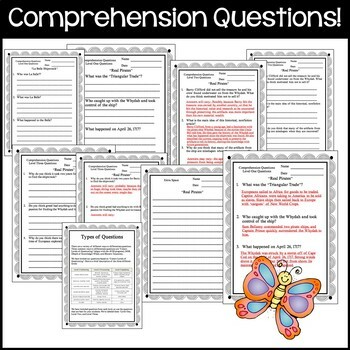 Comprehension Questions and answer key (good for assessment) for “Real Pirates” and “La Belle Shipwreck”.